During the year we make occasional visits to some of the tribal villages and minister to the people there. Due to these remote locations being at higher elevations the temperatures are much colder during the winter. 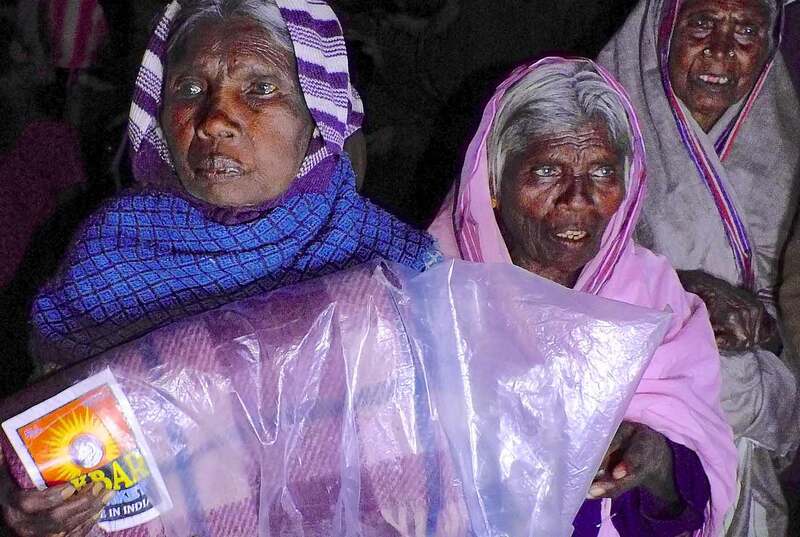 A simple way of showing care is by providing woollen blankets especially to the elderly to help them keep warm. Often these villagers are so thankful for this practical help they have tears in their eyes. When possible during mission trips we also visit these tribal villages to support this aspect of the work and encourage the pastors who are there working in the field. At such times we try to bless the wider community by having fun with the children, giving them gifts and reaching out to their families.